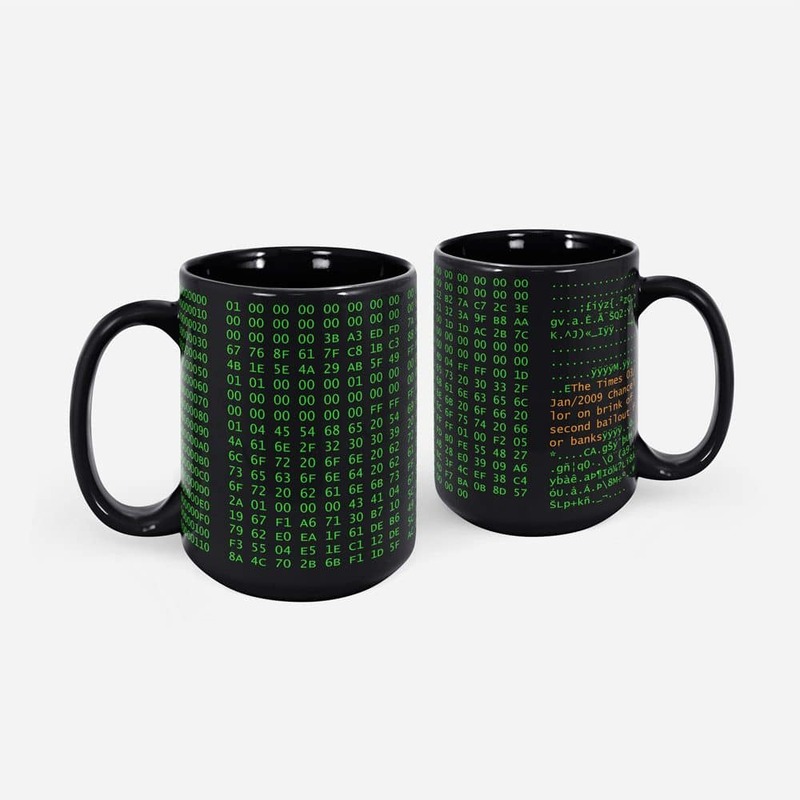 This 15oz mug features the code from the Genesis Block, also known as the Block 0 which contains the mysterious message. 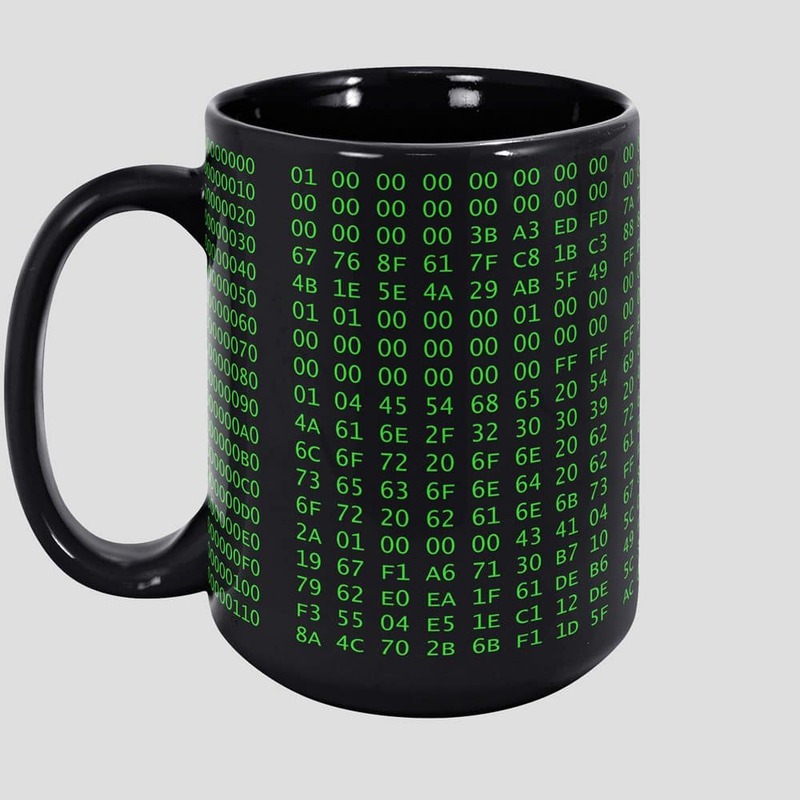 We made Bitcoin Genesis Block mug to honor the first ever block in the Bitcoin blockchain. Known as the Block 0, it has been created by Satoshi Nakamoto in 2009. What is interesting about the code is that it contains the message message “The Times 03/Jan/2009 Chancellor on brink of second bailout for banks”. That is the exact headline of article appearing in the New York Times on January the 3rd, 2009. Love it! Fits comfortably in my hand, and holds just the right amount of coffee. Really nice mug, good size (larger than average) and sturdy. Delivery (international) was fast. Great quality product and price – thanks! thanks for taking lightning payments!!!! great mug but, lets be honest, that was the main reason for purchase. Infinite scroll makes it hard to find the LN address. 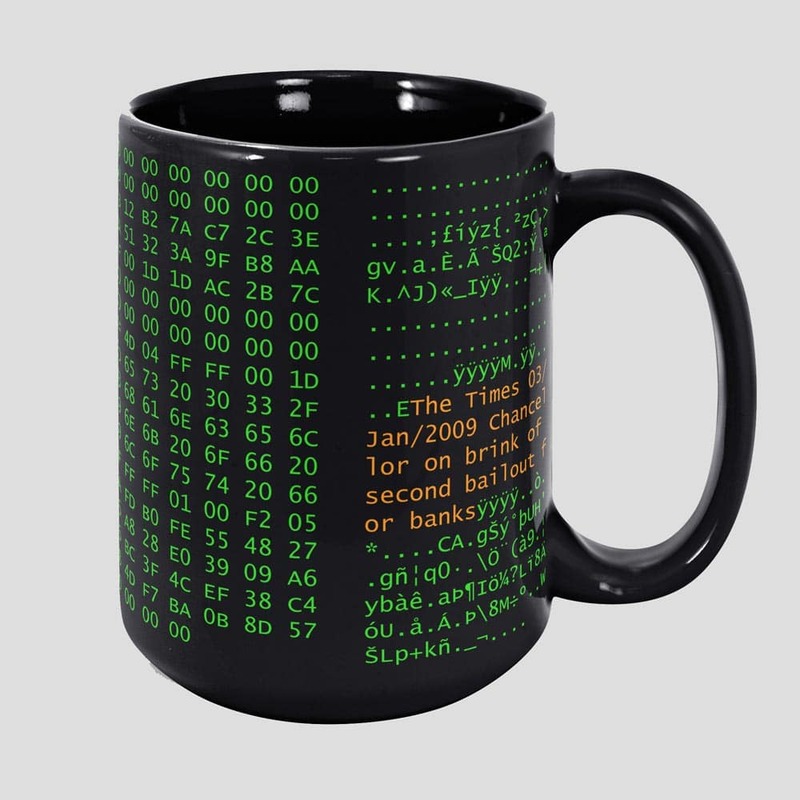 Love the mug, my new favourite (replaces a Microsoft “Geek” mug I got at a conference about 15 years ago!). 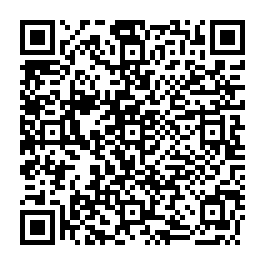 I had some trouble making the payment via lightning originally as I wanted to do it using lncli from the node i have running on my Raspberry Pi. The support staff were extremely helpful and once I’d opened a direct channel (as they suggested) it worked perfectly. Cup arrived in Australia in one piece, thanks for wrapping it so well. Well worth the coins, thanks guys! Already had one, bought this for a friend, sturdy mug with lots of room for my tea. Great product. Love the mug. Paid with lightning- seller was helpful and communicative, as I hadn’t used LN before. Item came promptly in the mail. Have a hat on the way as well. Thanks guys! Coffee tastes far superior from this mug.